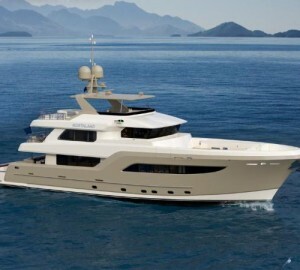 Burger Yachts is a US superyacht builder which produces larger custom and semi custom motor yachts. With a long history of quality luxury yacht construction there is currently some Burger Boats around the world and several excellent yachts that are available for yacht charter vacations (see bellow for a full charter list). 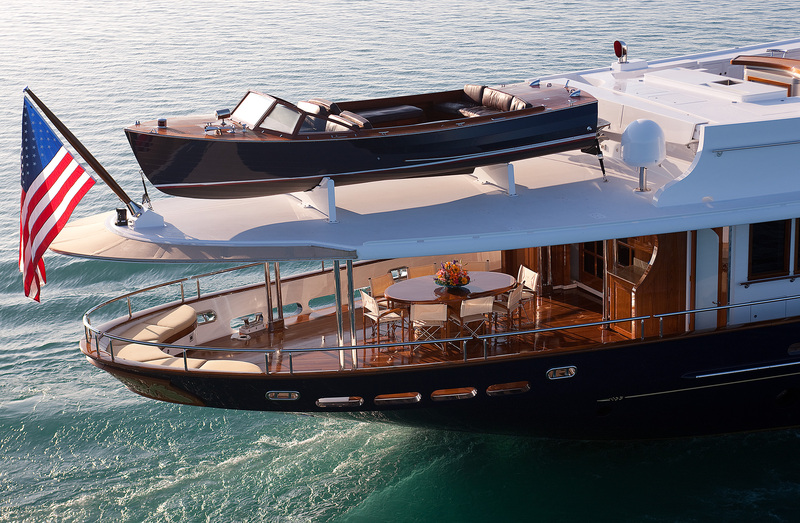 The Burger Boat company has built some wonderful luxury yachts in recent times and over the years. 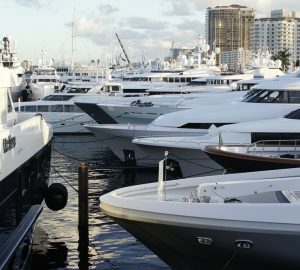 For instance, superyacht INGOT won the 19th Annual 2009 in Fort Lauderdale, Florida ShowBoats International Award for “Best Motor Yacht Under 50m”. The award recognizes a motor yacht that accomplishes the goals of her owner, builder and designer with undeniable style. Widely recognized, the ShowBoats International Awards are one of the oldest and most desired by yacht owners, builders and designers. Burger Boat Company’s INGOT, a 153’ (47m) Tri Deck Motor Yacht, premiered at the 2008 Ft. Lauderdale International Boat Show and was extremely popular at the 2009 Monaco Yacht Show. Designed to be an environmentally friendly yacht, INGOT provides 5,025 square feet of interior space and 4,150 square feet of exterior deck and leisure space. Also luxury yacht SYCARA IV, is a 2010 151′-03″ (46m) Fantail Motor Yacht which has been awarded the Best Design Trophy for Custom Yachts Under 50m at the prestigious 2009 World Yachts Trophies organized by LuxMedia Group and held in conjunction with the Cannes International Yacht and Boat Show September 2009. Superyacht SYCARA IV won the award due to her unique design, reflective of her owner’s desire to build a family yacht true to the Golden Age of yachting. The yacht recaptures the splendor, grace and charm of a bygone era and signifies Burger’s continued commitment to designing and building custom yachts to meet their owner’s specific requirements and desires. Burger Boat Company has been the oldest and most respected custom yacht builder in America for three centuries continuously. The company has been well known across the world for quality construction and seaworthiness, appealing to individuals who are unwilling to compromise on the integrity of their yacht. Founded in 1863, it designs and builds custom motor yachts, in aluminum and/or steel, ranging in size from 75' (23m) - 200' (60m) and is ready with them within 24-30 months. Burger Boat Company - Monaco, the heart of the Mediterranean, offers technical support and information to the European market for brokerage and new yacht construction. It was Henry Brauburger who got started with the Burger Boats after his family shifted from Deutschland to the United States in 1846. At the age of 18, young Henry began honing his skills by apprenticing as a shipbuilder at Milwaukee's Wolf and Davidson Shipyard, Wisconsin in the year 1857. Wisconsin, had become a desired destination for many Germanic Europeans as the region so closely approximated the climate and topography of the "Old World." In 1863, in the midst of the Civil War, Henry Brauburger began his own production of small, 20' - 30' Mackinaw fishing boats for the local commercial fishermen. Soon, Henry became popular for his expertise and penchant for building extremely high quality vessels. During 1866-1869, Henry and his small group of merry boat builders built and released the scow MENOMONEE, the schooner FLEET WING and the schooner S.A.WOOD. In 1886, Henry took his nephew, George B. Burger into partnership forming the Burger and Burger Shipyard and in 1887. Envisioning the decline of new wooden sailing ships, the two together bought the only dry dock in Manitowoc to begin a ship repair business. In 1888, the Burger yard launched the LIZZIE METZNER, an 80' three-masted schooner built of blue oak that valued $1200, barely $15 per foot. In 1889, Burger launched CORA A, the last full-rigged schooner and in 1890, built and launched the 201' ferry INDIANA for the Goodrich Transportation Company, the largest and by far the most successful passenger steamship company on the Great Lakes. At a time when many shipyards went out of business, the combination of new construction and ship repair was the formula that made Burger yachts prosper during the 1890's. Between 1870 and the turn of the century, the Burger brand name appeared on almost 100 vessels - steamers, tugs, scows, schooners and barges. In 1902, Henry B. and George B. Burger, after almost 40 years in business, sold their shipyard to the Manitowoc Dry Dock Company, newly formed by John West, Elias Gunnell I and William Geer. Today Burger launches between 2-3 yachts annually and has 4-6 projects under construction at various stages of completion. The vessels built successfully blend the rich heritage of experienced yacht building with the latest technologies and systems available in the marketplace. An ideal construction process at Burger begins with a clean sheet of paper, where a vision is created and later a masterpiece is produced. The unit commences with the production process by articulating the client's dream. The designers and engineers explore the various possibilities after translating the expression. It is very essential for the Project Managers to ensure that the client's ideas and desires are accurately interpreted and incorporated. Moreover, Burger maintains high standard in terms of quality, fit, finish, materials, systems and equipment. The team behind Burger Boats personifies pride, passion and enthusiasm as seen in each and every final product. Burger is a world-class organization with an incredibly strong work ethic, a characteristic that is deeply rooted for generations within the Burger culture. From the future point of view, the company heavily relies on its employees and highly acknowledges the hard efforts put in by them. The company also makes sure that their talents, minds and spirits are pooled in to yield the best results. More than the incredible history and heritage, the respected product and pedigree of Burger Boats, its future will be directly measured by its ability to attract and retain world-class talent. Though Burger yachts are extremely selective while sourcing the yacht builders, they provide the team with an environment which is highly motivating for them to exhibit higher level of creativity and consistency in their craftsmanship. People, who join Burger, join the place with excellent skills and end up exploring the opportunity to expand their knowledge and abilities to greater capabilities. Many of these people are seasoned boat builders, who interact with each and every challenging new project and continue to become extraordinary in applying their continued learning. The team of Burger together represents a very passionate team of individuals which is highly committed towards perfection. At a time, their focus on a single project and single client helps them improvise and gain creditworthiness for future projects. They not only aim to attain world class recognition as a company but also as a world class yacht builder. This is precisely why they firmly believe in the quote "World-class yachts can only be created by world-class people". Below is a selection of Burger Yachts available for luxury yacht charter vacations. Please contact charterWorld for more.